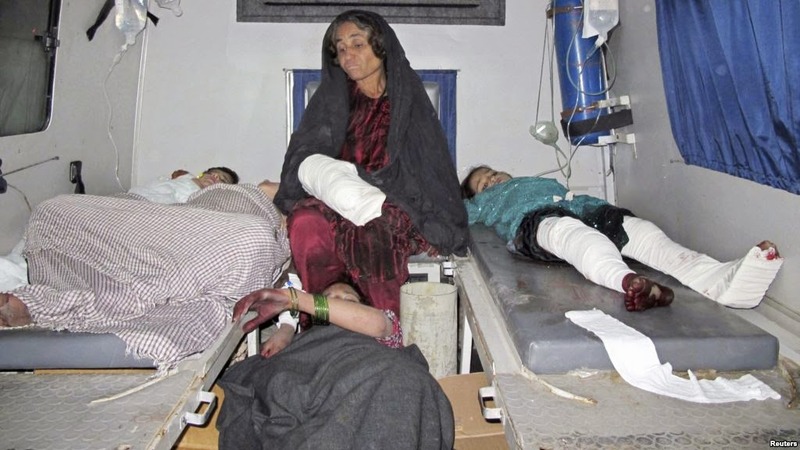 Afghanistan assumed full responsibility for security from departing foreign combat troops on Thursday, a day after Afghan army mortar shells killed at least 20 civilians attending a wedding party in volatile southern Helmand province. "What we know so far is that our soldiers fired mortar rounds from three outposts but we do not know whether it was intentional," Mahmoud told Reuters. Afghans, China, Russia Not Impressed With ISAF's "Great Success"
According to reports, a delegation of of Taliban officials have recently visited China to meet with the Chinese officials and discuss issues related to Afghanistan. 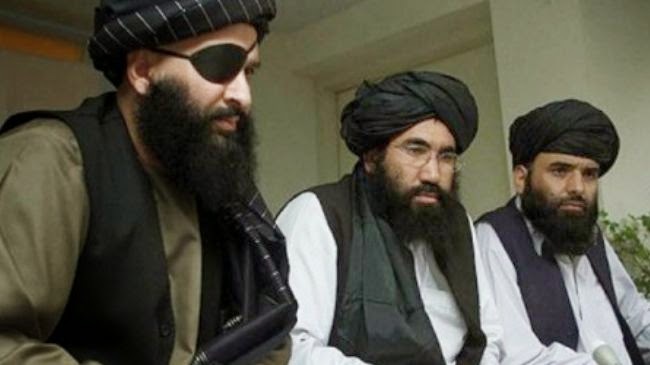 Sources privy of the development have told the Afghan Islamic Press that the delegation was led by Qari Din Mohammad who is a member of the Taliban political office in Doha. The delegation reportedly visited China late in November last year when Beijing had put forward a proposal for a “peace and reconciliation forum” in a bid to help revive peace talks between the Afghan government and Taliban militants group. In an interview with Russia's Interfax news agency, Kabulov claimed there are currently 4,000 to 5,000 militants massed in areas of northern Afghanistan near the border with Tajikistan and some 2,500 near the border with Turkmenistan. Afghan and foreign media have been reporting increasing unrest in northern Afghan provinces throughout this year including the presence of militants from Central Asia. Russia will be implementing programs for upgrading and rearming the armed forces of Kyrgyzstan as the international coalition force will leave neighboring Afghanistan, Russian Defense Minister, General of the Army Sergey Shoigu said at a meeting with the chief of Kyrgyzstan’s General Staff, Major-General Asanbek Alymkozhoyev on Tuesday. Also on Tuesday, Shoigu met with his Tajik counterpart, Lieutenant-General Sherali Mirzo. Against the backdrop of the international coalition’s force withdrawal from Afghanistan the Russian and Tajik armed forces should brace for any march of events, including the most negative one, Shoigu said. “With this in mind, we believe it is essential to pay priority attention to enhancing the combat potential of the Tajik Armed Forces and the 201st Russian military base. We are determined to furnish support for Tajikistan in maintaining its security further on,” Shoigu promised, reports TASS. Chechen authorities have announced a new method for combatting the region's underground insurgency, a system that will essentially turn commanders in the republic's security services into bounty hunters responsible for tracking down specific militants. "Each commander will be entrusted personally with tracking down one or another militant who is on a wanted list," said an online statement published by the regional government on Thursday. 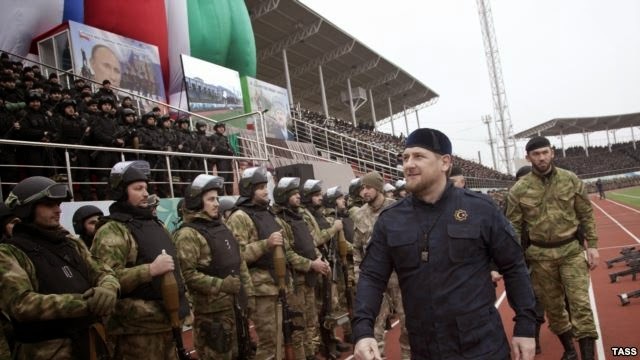 Chechen leader Ramzan Kadyrov praised the new tactic, saying in the statement that it would "bring good results" and "fully clear Chechnya of militants." A court in the Chechen capital, Grozny, has sentenced a Georgian man to six years in prison for attempting to recruit two Chechen men to join the Islamic State (IS) militant group in Syria. The defendant, 25-year-old Beslan Cincalashvili, allegedly resided legally in Chechnya from July through August 2014. During this time, prosecutors alleged that he met with two Chechen nationals in Grozny and attempted to persuade them to travel to Syria to join militant groups. Investigators also said that Cincalashvili promised the men assistance with passports and in traveling to Syria via Georgia. The killing of a Georgian soldier in eastern Ukraine has become the source of a political dispute in Tbilisi after the Ministry of Defense issued a statement blaming the former government for the death. The Georgian, Aleksandre Grigolashvili, died in combat in Lugansk, Ukraine, on December 19. He had joined the Georgian armed forces in 2007 and fought in Afghanistan and South Ossetia, family members said, but left service in 2008. He went to Ukraine two months ago to fight on the side of the pro-Kiev forces. The issue of Georgians fighting in Ukraine has been a controversial one. 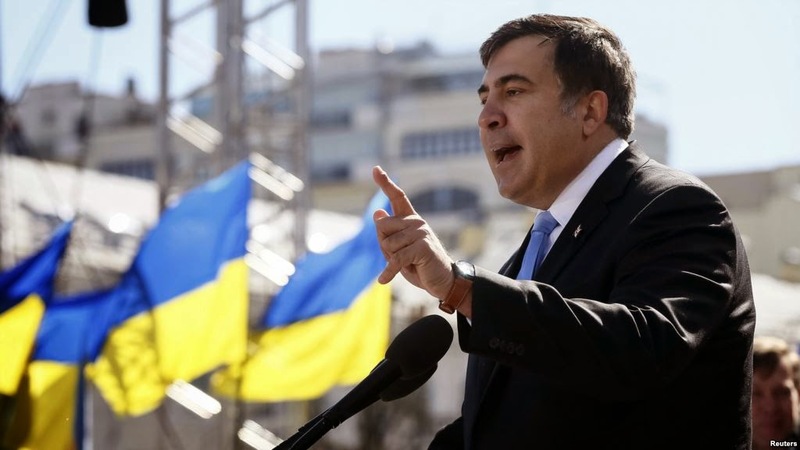 Earlier this month former president Mikheil Saakashvili, who has emerged as one of the top supporters of the government in Kiev, said that Georgian soldiers were leaving the Georgian army to go fight in Ukraine. The assertion was strongly disputed by the current ruling Georgian Dream coalition. Former Georgian President Mikheil Saakashvili gave New Year's celebration for children in a presidential library in Tbilisi. Santa Claus gave them gifts and sweets. Mikheil Saakashvili addressed the children on Skype and wish them a Happy New Year and Merry Christmas. Children asked the former president when he arrives to Georgia. Russia and South Ossetia are due to sign a new treaty on deepening integration in early February 2015, the president of the republic, Leonid Tibilov, told journalists on Friday. Russia and South Ossetia are preparing several versions of the treaty, and the final document is not expected to be “an exact copy” of Moscow’s agreement with neighboring Abkhazia, but their concept is likely to be the same, a Kremlin source told TASS. Some integration processes with South Ossetia could be much deeper than those envisaged by the treaty with Abkhazia, the source said, adding that in some directions the republic would be strengthening ties with Russia at the same rate.